I have a list below of memes I am joining for this week, and to save time I am doing one post for all. They are all fun memes to participate in...I hope you can join in with the fun and check out some of the participating posts. Special thanks to all the wonderful host and their memes, I hope you have some time to check them out. Hello, I am sharing some scenes from our visit to Tennessee Feb 17-20th. It was an action packed trip from sunrise to sunset each day. We did some sightseeing beside birding, I know you are surprised about that. It is not always about the birds. I hope you enjoy the photos. The first and last days were taken up just for the drive to Tennessee and back home. During our Tennessee trip we visited the Cherokee Indian Removal Memorial and Museum. 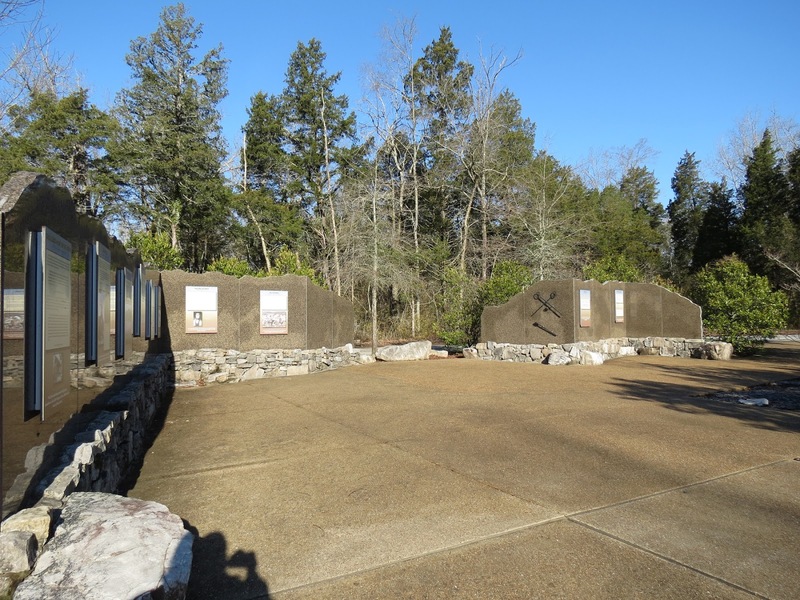 The park was built as a memorial to the Cherokee Indians who were removed from their homeland and forced on the journey west known as the Trail of Tears. This area had 9 encampments of thousands of Cherokees that waited weeks to be sent across the river at Blythe Ferry. In 1838 around 9,000 Cherokees were forced to leave their homes and march west toward Oklahoma. 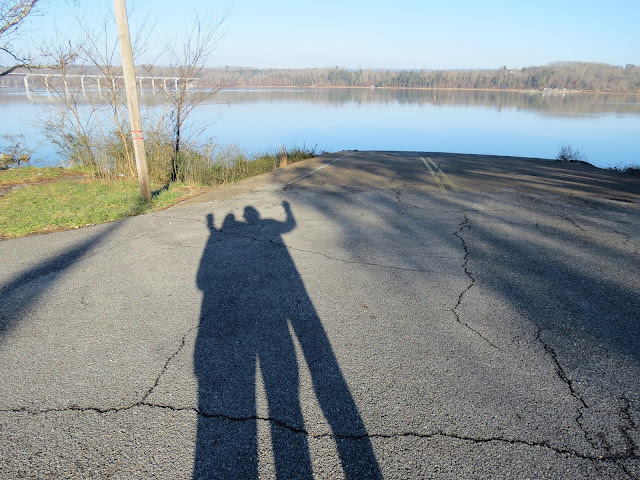 Our shadows at the Blythe Ferry crossing..the start of the Trail of Tears. "How do we ever prevent the greed and lust for power from causing another Trail of Tears?" The memorial wall on the left side memorializes the 1835 census of the Cherokee. The map shows the actual trails showing the different routes taken by the Cherokees on their journey west. A look at the memorial. A message above is from Chief Chadwick Smith of the Cherokee Nation. Yes, here are some of the birds seen around the Hiwassee Wildlife Refuge and the memorial park. 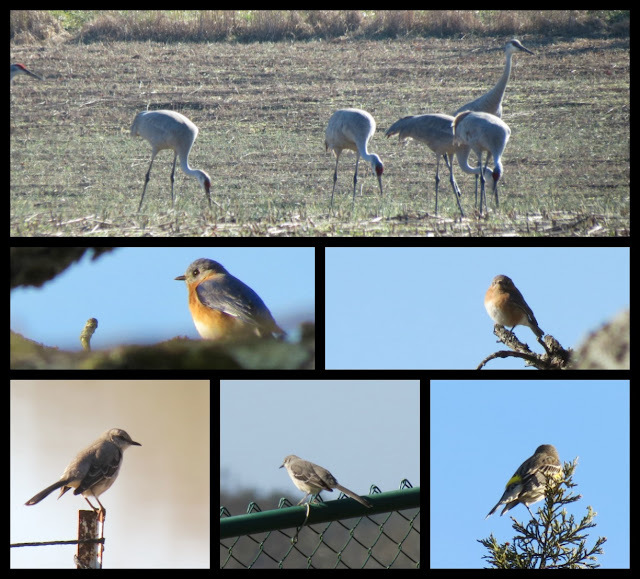 The Sandhill Cranes, Eastern Bluebirds, Mockingbird and a Yellow-rumped Warbler. I hope you enjoyed my post. As always, I appreciate the visits and your nice comments. Have a happy new week ahead! As always thanks to the wonderful group of hosts listed below. powerful post today Eileen - does Mankind ever learn? Certainly the message must keep getting sent. That's a great quote about educating the young to not forget. So many battles are fought, but if the message is not carried through to younger generations the effort is lost. It's sad to read about the Cherokees. Wonderful post Eileen, and I'm sure it was a very moving experience to be there. The Trail of Tears and its powerful messages. 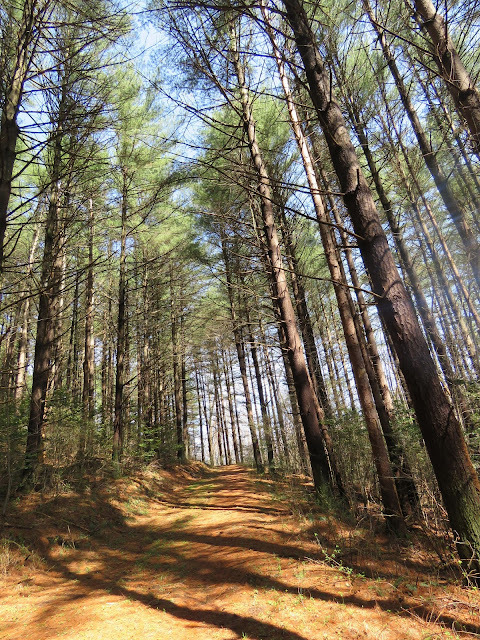 Lovely photos of the trail, the river, the beautiful birds, so on and so forth. Such a sad time in the history of this country. I'm glad to see there is a memorial because it should never be forgotten. I love that quote by Jimi Hendrix. Thanks for sharing. Neat pictures, Eileen! Hope you enjoyed your Tennessee visit...I'm from Tennessee! Lovely photos ! Quite a shame they were forced off of their land as so many still are . Thanks for sharing , have a good day ! Thank you for this post that is beautiful like all yours, but very important too! Jimi Hendrix had some wise words. I remember that "couple as shadows" photo . . . I'd like visiting this Trail of Tears . . .
And I love this quote . . .
We were on various portions of the Trail of Tears on our way to Arkansas last year. Until then, I had not heard of this. Eileen, what a great post and what an great getaway! 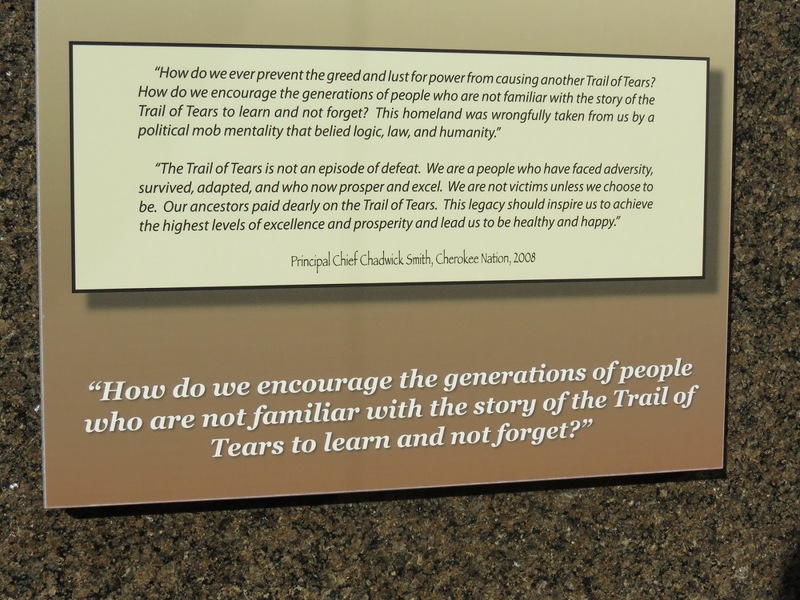 I've read previously about the "Trail of Tears" and it's truly heartbreaking and the quotes say it perfectly, and I totally agree, it shouldn't be forgotten. And I love the birds too, an enjoyable "diversion" from the sadness of the "Trail of Tears." Nice photos, Eileen. What a tragic time in our history this was. It always makes me want to cry whenever I hear about it. It's good memorials such as these exist to remind us never to repeat the mistakes of the past. Beautiful picture.. but the Cherokee history made me a little sad..
Blythe Ferry Crossing must have been incredibly poignant. sounds like you had an amazing adventure! have a beautiful day! wonderful photos of a sad place and horrible memories. Looks like such a lovely visit! Thank you, Eileen, for this really important post! In every country, we have issues we should never forget. Cute birds, of course. Have a lovely week ahead! 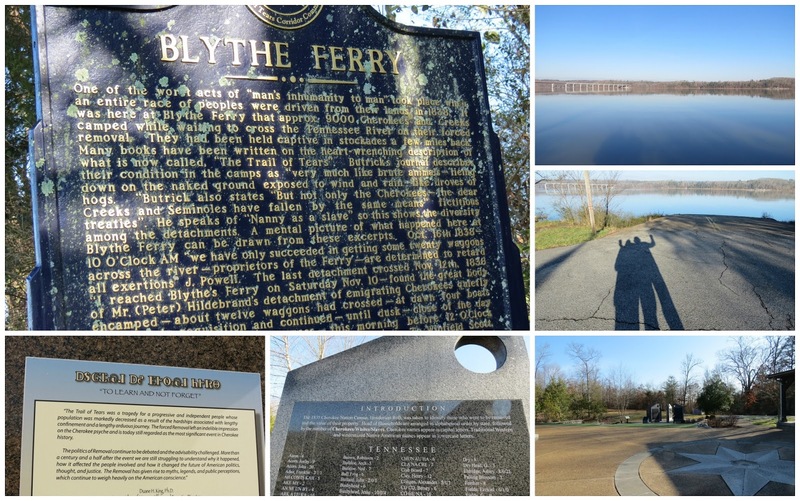 I'm going to have to put Blythe Ferry on my list of places to visit! You photos as always are captivating! Thank you! A part of our history that people prefer to forget. I have visited several memorials on the Trail of Tears, but the one that moved me most is in northern Alabama just off the Natchez Trace Parkway (just a few miles south of the Tenn State line). A man has built a memorial to his great-great grandmother by gathering stones and building a wall. One stone for every step she took walking to Oklahoma and one stone for every step she took after she escaped and returned to Alabama. It took him 30 years to build it. He is happy to talk to visitors and tell his great-great grandmother's story. The photo on this website shows only a very small portion of the wall, the prayer circle. The wall is about chest high, wider than you can reach across, and runs alongside the road for a ways. It is amazing! That is such a sad history. Thank you for sharing. I like to see your birds as always. Beautiful photos, Eileen to accompany such a sad history. I have always wanted to visit that part of the country. It looks beautiful. The story of the trail of tears is just heart breaking. I believe there was another trail of tears that took a different tribe up toward Canada as well. I seem to remember Chief Joseph of the Nez Peirce having something to do with it. I think that is when he made the statement "...from where the sun now stands I will fight no more forever." I remember in 8th grade reading that and getting goosebumps. I read quite a bit about him after that and it affected the way I have lived my life. Trail of Tears...should break everyone's heart. Such a disgraceful slice of our heritage. I wish I knew more about that side of my family tree. My grandfather's mother was Native American. We don't even know where my grandfather was born. Records say either Tennessee or Arkansas. My grandmother's grandfather was Cherokee. They came from Kentucky. I remember my grandmother's stories about riding in a wagon when they moved west. The problem with pioneers. They didn't keep track of the family they left behind. That's pretty much all I know of my father's side of the family. I really when blah blah blah...didn't I? Lovely place and great variety of birds! It must something to walk there! I love to armchair travel! Looks like a fun trip to Tennessee ... educational, too! Love the birds. I love the bird on the log in hour header, second from the left. beautiful header. i like the quote by Jimi Hendrix and it is true, but his world has never known peace and never will. proof of that is the clown convention of politics going on now. no one can get along with each other and never will. really beautiful captures eileen!! i see most of the small birds at my feeders but never the blue birds, even though i know they are in this area!! i too am a sign photographer, it's such a great way to remember and share important details!!!! and keep taking those shadow shots!!!! Beautiful post. Sad history of the Cherokee. Love your shadow shot. Have a wonderful week! There is so much of our country's history that I wonder if the young people will ever know, or care. Good post. That is often a forgotten part of our history. Wise words from Jimi Hendrix. A lovely collection of photo's and information here Eileen, which from a person living in the UK was very interesting, thank you. This is a very moving post & I appreciate you including this part of your nations history, the area itself is one of great beauty & I still am in awe of the size of the Sandhill Cranes! Have a lovely week, Eileen! Excellent post! Our nation has many tragic stories to tell. shame on us! Let us hope history does not repeat itself. The Memorial has to be very moving. I would love to see it some time. This reminds me of our trip to Cherokee country in NC when our kids were small. They got a good history lesson and I don't think they've forgotten in. A bezutiful posr, Eileen! My family visited the Cheokee Memorial many years ago and found it a very moving experience. I am learning more about the western Native Americans that lived here in Colorado and we're driven out by false treaties. A shameful time in our Nation's history. I've meant to mention before how clever you are to combine several memes together, time saving and why not? The Trail of Tears is a sad realization and I know in Canada we have stories of our proud indigenous people being mistreated as well. Years ago I worked with a gal who was a member of the Sioux nation and they were adamant that they would keep their dialect alive by only speaking it when at home so the younger generation would learn and pass it on. Hard hitting post with wonderful images. I love that quote by Jimi Hendrix...it is so true. I know about the Trail of Tears but is not something I have read about like I do other subjects. What a lovely and interesting place to visit! Lovely photos of the trail, the river and the beautiful birds! I did.nt know about the trail of tears,so sad story! Nothing like it, absolutely stunning photos. We don't seem to learn anything from our history. Sandhill Cranes are so photogenic. Great quote from Jimi Hendrix, Eileen. I am not familiar with the Trail of Tears. Lovely shots Eileen, have a wonderful week. The Trail of Tears has to be one of the saddest and darkest moments of our history. I am glad that you shared the memorials. Love the bird photos, too. What a treat to get to see the Sandhill cranes. They will close to us in Nebraska, about 5 hours away. We are thinking of driving to see them. Nice post, Eileen. In our archipelagic country there are no long drives like you in continents as in the US. I am sure it is always tiring but always enjoyable. I am glad i learned about those you posted here, and i love those intellectual quotes. I also enjoy you shadows, i guess everyone no matter what age enjoy shadow shots. Lovely photos Eileen. I first heard about the Trail of Tears many years ago. The horror of it brought tears to my eyes back then and a lump to my throat now. a frase do Jimi é perfeita! Always interesting captures in your posts Eileen .... you're enjoying the journey of life. Thanks for sharing these snippets with us..
A sad tale indeed of past atrocities! Lovely shots. It is a very sad part of history, but it is important to know what happened to the Cherokee. Thanks for sharing that. The Sandhill Cranes...one of my favorites!! And, the Trail of Tears...a sad, sad, part of our American History. Such a sad chapter in our history ... I am so worried we are embarking on a similar one with the way things are going. Somethings are beyond my comprehension. Thank you for the reminder; lest we forget. Cutie pie birds. Happy Day. Beautiful captures with a lot of shadow play! We are our own worst enemies, taking wrong turns every chance we get and today the greed and power lust are the worst I have seen in my lifetime. This is an endearing post and thought provoking ... sadly the people who will see it, read it, and even walk the actual Trail of Tears, are not the people who need it the most. Thank you for this, Eileen ... it helps keep me grounded. I hadn't heard of the Trail of Tears, Eileen, so thank you for that. A very interesting and worthy place to visit. I'm with Jimi Hendrix all the way. Of course I can't read this and see these photos without also thinking of the migrants heading into Europe to flee the situation in Syria and other parts of the Middle East/ Africa. Different circumstances, in that they are not forcibly being evicted at the whim of another group of people, and yet another type of example of man's inhumanity. The Trail of Tears...certainly a sad time in our history that is so often overlooked by many. I love the quote by Jimi Hendrix. Hope you enjoyed your trip. Take care and have a nice week! This is a great post, Eileen. I somehow doubt that mankind will ever learn. We seem to make our horrendous mistakes over and over and over. Hi Eileen, Glad you enjoyed your stay in my former state. I love the nature and wildlife in TN - just not the climate. Have a splendid day today! It's nice to read that you so enjoyed your trip. In addition to the birds you could also enjoy other fun activities. The pictures are very beautiful and there you can also see that it was a wonderful trip. Great post and love your bird photos! Compelling story + Great narrative + Great photos = Fantastic post! I have a photo of a huge, mural sized painting that I saw in a visitor center when on a road tour. It was very compelling. Sad! Wonderful post Eileen, it serves as a good reminder not to forget our history, not to repeat it. I hope one day, living in hope here. Really interesting posting Eileen. I like the bird collage also, as I am interested in your variety of birds there. I like your shadows! Fun posting and some history also. I am really enjoying your retirement trips, and learning more about your history. I like it when you add a bit of history to the photos. A great post, Eileen. 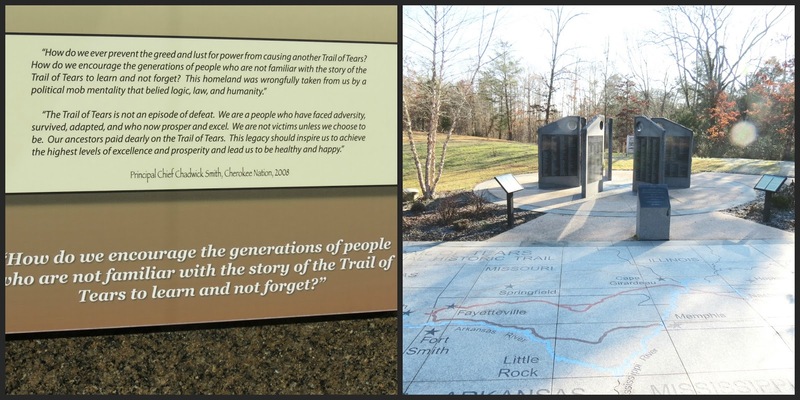 A sad story about the Cherokee Trail of Tears. That's an interesting post with lots of good info. The birds are so pretty, too. Hi,nice post. "A historian said as follows in our country. Leave it for a record, and somebody knows it sometime, and the honor will be restored"
seems like an action packed trip alright. Even worse then my trip to Japan. :) Sometimes I think we try to do too much at one time. But you seem to do great with it. Nice place and nice set of birds :) Thanks for sharing. Amazing history. Seems to happen each new invasion, uh, migration. It is a sad tale. I hope we do not forget. I'm always so overjoyed to come and visit you here, sweetest friend of mine, the shots of Nature you share always amaze me ! On the other hand I have to admit that the page of History written with Indian's blood is far too sad to me ... always ! So tragic. It seems we go from one atrocity to another. A remarkable work, on this post, Eileen! Some things must not be forgotten... ever!!! Beautiful photos, Eileen. What a tragic time in our history. Hope you enjoyed your trip to Tennessee.